Richard Tracey, London Assembly Member for Merton and Wandsworth, has written to Heathrow authorities to ask why the BA aircraft with its engine ablaze was routed to fly back into Heathrow last week rather than being diverted elsewhere. Richard’s questions followed worried enquiries from Wandsworth councillors Rosemary Torrington and James Maddan who represent the riversideThamesfield ward on the flightpath. He wrote, “I represent Wandsworth and Merton GLA constituency comprising around 500,000 people. “Can I ask why Heathrow/BA decided to bring in a plane in flames right over central London rather than landing it in a country airfield like Farnborough or some such safer location. He received a prompt response as requested from Abigail Morris, Heathrow’s Government Relations Manager: “The normal procedure in these circumstances if for the Captain to decide what is the safest course of action, and this is what happened in this case. This is an approved procedure. Richard comments, ” My colleagues say the aircraft, with an engine on fire flew over Slough, Watford, and parts of Essex, before returning over the Thames Estuary and crossing south London, Battersea, Putney, Chelsea, Fulham, Hammersmith and Hounslow. This is complete madness. Three or four million people on the ground were put at risk and thousands of travellers from Heathrow had their flights cancelled. Incoming flights were diverted to Stansted, Luton, Cardiff, even Manston, and departing flights cancelled. Some flights were still being cancelled 24 hours later. 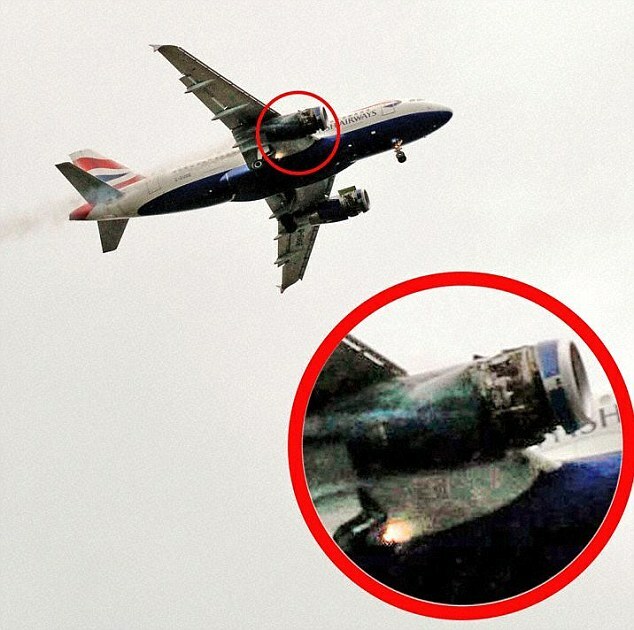 Air accident investigators say the doors on both engines of the BA flight that made an emergency landing at Heathrow last week had been left unlatched. This was due to human error. 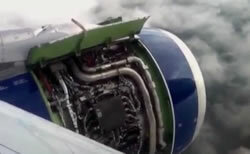 Air accident experts said the coverings – the fan cowl doors – broke off and punctured the right engine’s fuel pipe, damaging the aircraft’s systems. The engine was extensively damaged. The jet flew back to Heathrow, on one engine, with smoke trailing from the other, right across heavily populated London. It landed safely. The findings were made in an interim report by the Air Accidents Investigation Branch (AAIB), which is examining the cause of the emergency It will make its final report in a couple of months. The fan cowl doors on both engines were left unlatched during maintenance and this was not identified prior to aircraft departure. BA confirmed that 2 different engineers would normally check whether a plane’s engine covers had been shut before take-off. David Learmount, former pilot: “This is a bit of an accident waiting to happen because it is so difficult to see”. Airbus said there had, in the past, been 32 reported incidents of fan cowl doors not being shut. A British Airways flight (BA 762) from Heathrow to Oslo was forced to turn back immediately after take off, due to what is likely to have been bird strike. The Airbus A319 was powered by two IAE V2500 engines. The left engine appears to have hit an object at take-off, which stripped off the engine cowling. The right engine then may have hit something, and there are observer accounts of a bang. The plane did a large loop around London, in order to land again, using only the left engine. 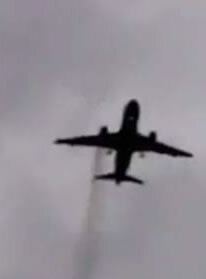 Many observers saw, and recorded, the plane – trailing smoke from the right engine, as it flew right across London. The plane made a safe landing, though passengers were evacuated down emergency chutes, and there were only 3 minor injuries. Heathrow airport was disrupted for hours due to the emergency landing. While those in favour of expanding the airport are likely to use this dangerous incident to call for more airport capacity (so Heathrow can cope with incidents without delays) it would be more relevant and more responsible to question how safe it is to have disabled planes flying miles over densely populated London. Luckily this time, there was no crash. With Heathrow airport hoping to get another runway (or two) the safety issue of flying more and more planes over hundreds of thousands of people has to be confronted. Posted: Saturday, June 1st, 2013. Filed in General News, News about Airports, Recent News.